Pristine Home offers a whole range of cleaning services to assist homeowners and businesses in maintaining a germ-free space. For over 10 years, we have focused on sharpening our skills and knowledge of commercial cleaning to allow us to deliver our services more efficiently. We can perform a basic cleaning or a deep cleaning of your home or workplace, depending on which service fits your requirements. Need your property cleaned sooner? We can arrange a next day cleaning for you. Simply book a cleaning appointment online, and we will be at your house as early as the following day. For working professionals, balancing your time between your job and your family life can be a tough challenge. If the only free time you get are the weekends, you probably want to take that time to rest, and not to worry about performing a deep cleaning of your home. Good thing you have the choice to leave the dirty work to our cleaning team. We provide a domestic cleaning service to help you maintain an inviting home that looks and smells refreshed. Moving out of your rental? To be eligible for a full bond refund, you need to get rid of any mess and fix any changes you made within the property to make it presentable to potential renters. 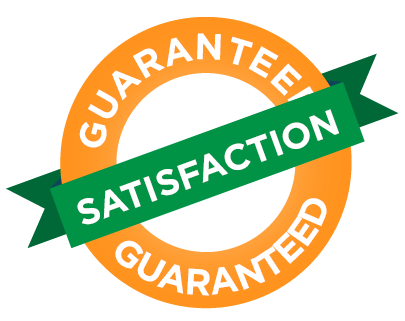 Our vacate cleaning service comes with a guarantee that you will get your deposit back. Our cleaning team will take care of sweeping and vacuuming all floors, cleaning out cabinets, wiping down baseboards, and dusting all areas so you can focus on packing your belongings and making the transition to a new place. By setting a regular appointment for apartment cleaning, you can come home to a dirt-free living space. We clean apartments of all sizes, so whether it is a studio unit or a three-bedroom apartment, we have got you covered. Our cleaners will spot clean door frames, wipe kitchen appliances, clean mirrors and chrome fixtures, and remove cobwebs from corners. If your tenancy is coming to an end, one of the first things you need to think about is the end of lease cleaning. Landlords are quite strict when it comes to vacate cleaning, so if you are unsure how to properly clean the place, it’s time to call in the trained cleaners of Pristine Home. We will remove cobwebs, dust all surfaces, polish sinks and benchtops, and sanitize the bathroom and toilet. If you can’t find the time to regularly clean the bathroom, schedule a weekly or bi-weekly bathroom cleaning with us. We will take over the tough job of removing soap scum from the bathroom walls and washing the bathroom floors. Our cleaning team will also wipe down vanity tops, clean toothpaste splatters, and disinfect the toilet. Spring is often considered the perfect time to do a massive cleaning of the house. With all the dust generated from burning wood and coal in the winter, you will need to spend a few hours to cut through the mess. At Pristine Home, we apply the appropriate techniques that allow us to thoroughly clean all areas of your home. We start by dusting all areas, and vacuuming any dirt that falls onto the floor, then proceed to dusting the ceiling fans, and wiping down room corners. We provide a comprehensive move out/ move in cleaning service to allow renters to get their deposit back. Settling into a new home is already a big task, so instead of worrying about the cleaning aspect of moving, let Pristine Home disinfect the property from top to bottom, and leave the place looking close to its original condition. We believe that high-quality cleaning services should not cost you a fortune, which is why we ensure that our rates remain competitive with that of other cleaning services in Merrylands. Ready to See the Pristine Home Difference? Booking a cleaning service with us is easy. Simply book a cleaner online, check the instant quote that details the rate for your chosen service, and let us take care of the rest. You can have a cleaning appointment in less than 60 seconds! We care about your complete satisfaction, and guarantee that you will experience the most thorough cleaning for your house or workplace. If the result falls short of your expectation, then the service is FREE! Too Tired to Clean the House? House cleaning often takes your time away from other more interesting activities. It can also be stressful, especially when you have to repeatedly clean up after your kids. The good news is that it’s possible to keep a clean home without spending your weekends vacuuming the living area and removing dust from wall corners. 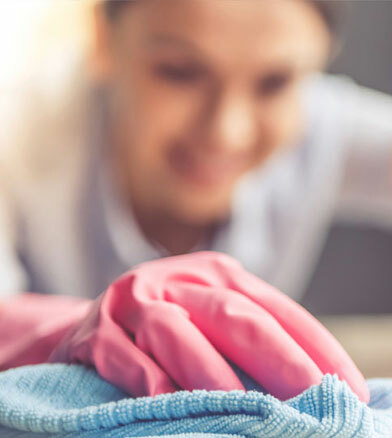 Simply enlist the help of Pristine Home cleaners, and we will take over the time-consuming cleaning chores, so you can spend your free days with your friends and family. 10 Years Experience: We’ve been operating in Surry Hills and the surrounding suburbs for 10 years now! Our clients continue to express their satisfaction with our service, and with the reliability of our cleaning team. We are efficient and effective at our job. We have over 10 years experience perfecting our techniques and developing quality training programs for our staff. We are the most trusted cleaning business in Sydney. Make your home one of the 1000s looked after by our team and experience the Pristine Home difference. You can trust our service and our staff. We screen check every applicant and require current police checks before our cleaners begin working for us. We offer local cleaners around many areas in Sydney, we can have cleaners to your door quickly and have your home cleaned in no time at all.